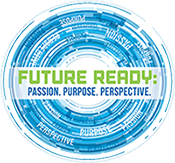 FUTURE READY: Passion. Purpose. Perspective. CONNECT: Let the conversations begin!